Saccharide Isomerate is a water-binding agent and emollient. It is an effective moisturizer containing natural carbohydrates found in the stratum corneum of the skin. In skin care products it is used as a preventative ingredient to protect dry skin against classical symptoms such as roughness, unevenness and itching. One of humanity’s oldest crops, safflower oil is expressed from the seed of an Old World herb that has large bright red or orange flowers and resembles a thistle. There are two types of safflower that produce different kinds of oil: one high in monounsaturated fatty acid (oleic acid) and the other high in polyunsaturated fatty acids (linoleic acid and a-linolenic acid). Used in creams and lotions to soften the skin, this flavorless oil has a light texture and penetrates the skin well. Exceptionally rich in essential fatty acids, safflower oil is also used in hair care to structure sensitized hair. For massage or facial care, safflower oil has great emollient and moisturizing qualities - blend it with an oil high in vitamin E like wheat germ oil, argan oil or cashew nut oil to increase its anti-aging properties. 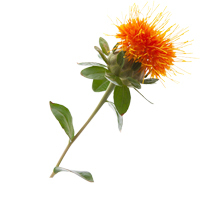 Safflower oil is also high in the antioxidant and preservative tocopherol. See natural moisturizing factors. An herb of ancient repute, valued as a culinary herb and medicinal plant – called herba sacra, 'sacred herb', by the Romans. It has been used for a variety of disorders including respiratory infections, menstrual difficulties and digestive complaints. Sage essential oil is described as a refreshing camphoraceous top-middle note with a spicy warm undertone. Its properties for mind include: antidepressant, calming, energizing, grounding and uplifting for mental strain and fatigue. Its active constituents include: terpenes such as camphor, labiate tannins and flavonoids. Recommended for blemished, normal-oily, oily and mature skin types, sage is especially beneficial for acne, dandruff, dermatitis, eczema, hair loss and seborrhea. 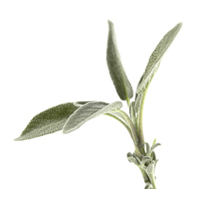 Sage oil is used in some personal care preparations such as mouthwashes, toothpastes, etc. and is employed as a fragrance component in soaps, shampoos, detergents, antiperspirants, colognes and perfumes, especially men's fragrances. The oil and oleoresin are used extensively for flavoring foods (especially vermouth!). 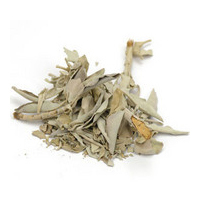 White sage is also known as sacred sage. The leaves and flowers of sage are antibacterial, antifungal, antimicrobial, extremely antioxidant, antiseptic, antiviral, astringent and healing. Sage is very effective as an antiperspirant when included in deodorants. It is a common ingredient in hair products including shampoos, conditioners and hair rinses for oily hair, thinning hair, to darken gray hair and to stimulate the scalp. Sage is breath freshening when added to toothpastes and mouthwashes and helps treat gingivitis. Healing to demanding skin, sage is included in skincare products such as facial steams cleansers, toners, soaps and bath herbs. It has been used as a wash and salve to treat eczema, psoriasis, poison oak and poison ivy. Sage is also used by Native Americans to ride a place of negative spirits. 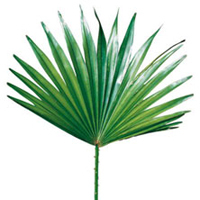 The Saw Palmetto Tree, a small palm, carries fruits that are highly enriched with fatty acids and phytosterols. The extract is classified as anabolic and tonic. When used topically, Serenoa serrulata strengthens and builds body tissue and increases the assimilation of nutrients to the body. For the mind it acts as a soothing agent that reduces nervousness, distress and irritation. 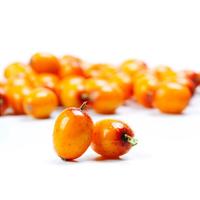 Sea Buckthorn berry: Contain very high amounts of naturally occurring vitamin c, crucial to smoother and more youthful looking skin because of its ability to penetrate the dermis. Also rich in vitamins B1, B2, K and P, flavonoids, essential fatty acids, phytosterols. promotes cell tissue regeneration, thus aiding in the healing of wounds, and restoring skin tissue. Herbalists have used sea buckthorn berry for millennia. Today bio-active substances in the oil derived from the seed and pulp are used in a variety of dermatological applications, among them anti-aging face creams, lotions and sun care products (since the extract seems to absorb UV rays). Research indicates that products containing sea buckthorn berry appear to promote cell regeneration, thus aiding in the healing of wounds and restoring skin tissue. Clinical experiments indicate that cosmetics containing sea buckthorn extracts can actually improve cell metabolism and retard skin maturation, thus slowing the aging process, possibly because of the effects of its high levels of vitamins A and E. Sea buckthorn oil has been proven effective in the treatment of the following skin conditions: acne, burns, cancer, skin ulcers and dermatitis of various forms. The oil-rich seed of sesame contains large amounts of fatty acids, minerals and vitamin E. Sesame Oil is one of several plant emollients that mimic the lipid content of the skin. It helps stabilize and maintain the skin's complex inter-cellular matrix, preventing moisture loss and cell damage and promoting the skin's soft, smooth, healthy appearance. As an ingredient in massage oil it carries soothing, toning, nourishing and moisturizing properties. Also called karite butter, shea butter is the natural fat obtained from the fruit of the karite tree in West Africa. Shea butter is a plant lipid similar to cocoa butter and is used as an emollient and moisturizer in cosmetics. It is deeply penetrating, melts at body temperature, and acts as a menstrum (a carrier for other medicinals) that releases quickly, which make it a superior moisturizer to others in its class. Its skin conditioning abilities outweigh even avocado oil (known for skin conditioning) because of the high amount of unsaponifiable fat it contains (up to 65%). It has mild antibacterial, anti-inflammatory and demulcent properties, and contains some of the same moisturizing ingredients as sebum. High in vitamin E, an anti-aging antioxidant that increases micro-circulation, it also contains the antioxidants beta-carotene and vitamin A. The EFAs contained in shea butter act as skin protectors and rejuvenators. Additionally, shea butter contains 5-10% of phytosterols that stimulate new formation and growth of cells. In Africa, its continent of origin, shea butter is widely used as a moisturizer and softener for hair. Its exceptional healing properties are exhibited by promoting and accelerating wound healing, and it is proctective against severe weather conditions. Shea butter is also naturally equipped with a sunscreen (cinnamic acid) giving it an SPF ranging from 2-6 and blocking up to 30% of UV radiation. Its cinnamic acid ester content also accounts for some of its healing properties. A high linoleic acid content makes it excellent for soothing chapped, burned, or irritated skin. Furthermore, shea butter is safe for babies. See natural moisturizing factors. more on shea butter . . .
Silica: a naturally occurring common mineral vital to human cellular health. Silica nourishes the skin and helps reduce the appearance of fine lines and wrinkles. Silica is required for the proper functioning of the enzyme prolyhydroxylase. This enzyme is vital in the formation of collagen in skin, connective tissue, bone, and cartilage. Silica aids in healthy skin, hair, and nails and is particularly beneficial to acne prone skin. Silicon exists as its oxide in nature. Silica is an example of that, with the molecular formula of SiO2 (silicon dioxide). Silica is an abundant mineral in earth crust, and it is in sand, quartz, and many other minerals. Some minerals have pure silica, but in some silica is mixed with other elements. In Silica, the sulfur and oxygen atoms joined by covalent bonds form a huge crystal structure. Each sulfur atom is surrounded by four oxygen atoms (tetrahedrally). Silica doesn’t conduct electricity, because there aren’t any delocalized electrons. Further, it is highly thermo stabilized. Silica has a very high melting point, because a large number of sulfur-oxygen bonds have to be broken in order to melt it. When it is given a very high temperature and cooled at a certain rate, the melted silica will solidify to form glass. Silica doesn’t react with any acid except hydrogen fluoride. Moreover, it is not soluble in water or any organic solvent. Not only silica is abundant in the earth crust, but it is also present inside our bodies in considerable amounts. Silica is needed for healthy maintenance of bones, cartilages, nails, tendons, teeth, skin, blood vessels, etc. It is naturally present in water, carrot, bread, cornflakes, white rice, banana, raisin, etc. Also, silica is widely used in ceramic, glass and cement industries. 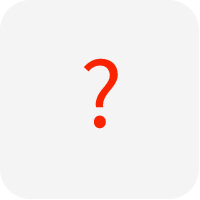 What is the difference between silicon and silica? - Silicon is a single atom; silica is a molecule, which is an oxide of silicon. - Silica has a higher melting point than silicon. - Silicon is a semiconductor, but silica doesn’t conduct electricity. - Very rarely silicon exists as the pure compound, but silica is very abundant on earth. - Crystal silicon is very brittle, but crystal silica is hard. This ingredient is not recommended by Be Yourself Beautiful and should be used under caution. Many people find the silicones to be comedogenic and will break out from use on the skin. They are very widely used in cosmetics because they provide such great slip on the skin (feels silky smooth) and hence, are in most makeup primers, liquid and cream makeups. In haircare it's almost impossible to avoid them. Since their use is so widespread and there is such controversy surrounding them, we recommend that you test them out for yourself to see what works for you. And if they don't work for you, don't fret! There are amazing alternatives right here on this site! Silicone emollients (like Dimethicone or Cyclomethicone)are occlusive (l That means they coat the skin andcreate an oxidative barrier that traps anything beneath it. These compounds do not allow the skin to breathe; they are much like a plastic wrap suffocating the skin. Thus, they can cause skin irritation and breakouts. Silicones are inert, synthetic compounds with a variety of forms and uses. Typically heat-resistant and rubber-like, they are used in sealants, adhesives, lubricants, medical applications, cooking utensils, and insulation. Silicones are polymers that include silicon together with carbon, hydrogen, oxygen, and sometimes other elements. Some common forms include silicone oil, silicone grease, silicone rubber, silicone resin, and silicone caulk. More precisely called polymerized siloxanes or polysiloxanes, silicones are mixed inorganic-organic polymers with the chemical formula [R2SiO]n, where R is an organic group such as methyl, ethyl, or phenyl. They can vary in consistency from liquid to gel to rubber to hard plastic. The most common siloxane is linear polydimethylsiloxane (PDMS), a silicone oil. The second largest group of silicone materials is based on silicone resins, which are formed by branched and cage-like oligosiloxanes. Silicones are ingredients in many hair conditioners, shampoos, and hair gel products. Some silicones, notably the amine functionalized amodimethicones, are excellent conditioners, providing improved compatibility, feel, and softness, and lessening frizz. PDMS is used variously in the cosmetic and consumer product industry as well. 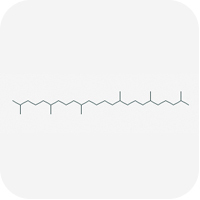 For example, PDMS can be used in the treatment of head lice and dimethicone is used widely in skin-moisturizing lotions where it is listed as an active ingredient whose purpose is "skin protection." Some cosmetic formulations use dimethicone and related siloxane polymers in concentrations of use up to 15%. The Cosmetic Ingredient Review's (CIR) Expert Panel, has concluded that dimethicone and related polymers are "safe as used in cosmetic formulations." Sodium Alginate is a stabilizer, thickener, gelling agent and an emulsifier. Alginate is derived from brown algae (Phaeophycota). This is a natural, water-soluble polysaccharide that produces a gel consistency when hydrated. Sodium Alginate will help to soften, hydrate, soothe, and leave the skin feeling silky and soft. Sodium Benzoate is a salt of Benzoic acid, found naturally in cranberries, prunes, plums, cinnamon, ripe cloves, and apples. When combined with gluconolactone, Sodium benzoate 'potentiates' the preservative and enhances the microbial tolerance of the finished product. As a blend, these two ingredients provide broad spectrum antimicrobial protection. Both of these ingredients can help protect the skin from some of the damaging effects of UV radiation and can help reduce the appearance of fine lines, wrinkles, roughness, hyperpigmentation and pore size. This concentrated mineral salt is derived from the sea or rock deposits. Sodium Chloride is essential to biological organisms and is found in most tissues and body fluids. The sodium and chlorine elements of Sodium Chloride play a diverse and important role in many physiological processes. In our products, it is used to adjust viscosity or enhance preservation. Non-toxic and non-irritant, Sodium Chloride is said to draw impurities out of the body through the skin. 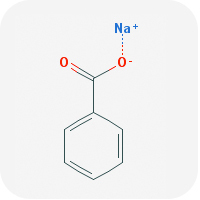 Sodium Hyaluronate (vegan) is manufactured by a food grade fermentation process from non-GMO grains and as such can be labeled vegetarian and vegan. In topical applications, low molecular weight Sodium Hyaluronate can be absorbed through the skin more readily so as to yield dramatic effects on building skin tone, increased elasticity, wrinkle reduction, and anti-aging. 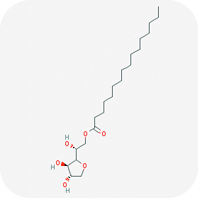 This naturally occurring polysaccharide is known for its ability to hold up to 1,000 times its weight in water. Sodium Hyaluronate reinforces the skin's short and long term moisturization, helps to plump up the tissue to restore elasticity and diminish appearance of fine lines and wrinkles. 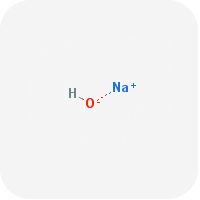 Sodium Hydroxide is an inorganic compound used to control the pH levels or serve as a buffering agent. SODIUM MAGNESIUM SILICATE: is a synthetic silicate clay with a composition mainly of magnesium and sodium silicate. Mined from the earth, this clay-like ingredient serves as a thickener and texture modifier used to stabilize formulas while offering astringent properties. Synthetic magnesium silicates are white, odorless, finely divided powders formed by the precipitation reaction of water soluble sodium silicate(water glass) and a water soluble magnesium salt such as magnesium chloride, magnesium nitrate or magnesium sulfate. The composition of the precipitate depends on the ratio of the components in the reaction medium, the addition of the correcting substances, and the way in which they are precipitated. The molecular formula is typically written as MgO:XSiO2, where X denotes the average mole ratio of SiO2 to MgO. The product is hydrated and the formula is sometimes written MgO:XSiO2•H2O to show the water of hydration. The very large active surface makes synthetic magnesium silicate useful for a wide variety of applications: purifying adsorbent (polyols, animal and vegetable oils), chromatography, dry cleaning, sugar, resins, odors); filler (rubber, ceramics, paper, glass, refractories); anti-caking agent (salt);catalyst; catalyst carrier; absorbent[dubious – discuss] (crude oil spills); filter medium. The U.S. Food Chemical Codex, JECFA, and other monographs for Food Grade synthetic magnesium silicate specify a mole ratio of 2MgO:5SiO2. The most common use for Food Grade synthetic magnesium silicate is as an active filter aid for adsorption of color, free fatty acids and other polar compounds from used frying oils. Various national and international regulations allow use of this material as an anti-caking agent in a wide variety of powdered foods. When used as a food additive, it is safe to ingest synthetic magnesium silicate. In 1990, the safety of synthetic magnesium silicate was reviewed by the Scientific Committee on Food (SCF) together with that of silica and the other metal alkali silicates. The SCF noted that “the available data, including a number of short-term studies in two species, appear to substantiate the biological inertness of those compounds”. The SCF established a group Acceptable Daily Intake (ADI) not specified for silicon dioxide and the alkali metal silicates. Talc (derived from Persian: تالک‎ tālk; Arabic: تلك‎ talk) is a mineral composed of hydrated magnesium silicate with the chemical formula H2Mg3(SiO3)4 or Mg3Si4O10(OH)2. In loose form, it is the widely used substance known as talcum powder. It occurs as foliated to fibrous masses, and in an exceptionally rare crystal form. It has a perfect basal cleavage, and the folia are non-elastic, although slightly flexible. It is the softest known mineral and listed as 1 on the Mohs hardness scale. It can be easily scratched by a fingernail. It is also sectile (can be cut with a knife). It has a specific gravity of 2.5–2.8, a clear or dusty luster, and is translucent to opaque. Talc is not soluble in water, but it is slightly soluble in dilute mineral acids. Its color ranges from white to grey or green and it has a distinctly greasy feel. Its streak is white. Soapstone is a metamorphic rock composed predominantly of talc. Talc powder is a household item, sold globally for use in personal hygiene and cosmetics. Some suspicions have been raised about the possibility its use promotes certain types of diseases, mainly cancers of the ovaries and lungs (it is in the same 2B category in the IARC listing as mobile phones and coffee) although this is not widely recognized as an established link. The studies reference, by subject: pulmonary issues, lung cancer, and ovarian cancer. One of these, published in 1993, was a US National Toxicology Program report, which found that cosmetic grade talc containing no asbestos-like fibers was correlated with tumor formation in-rats (animal testing) forced to inhale talc for 6 hours a day, five days a week over at least 113 weeks. A 1971 paper found particles of talc embedded in 75% of the ovarian tumors studied. The Occupational Safety and Health Administration and National Institute for Occupational Safety and Health have set occupational exposure limits to respirable talc dusts at 2 mg/m3 over an eight-hour workday. One particular issue with commercial use of talc is its frequent co-location in underground deposits with asbestos ore, which often leads to contamination of powdered talc products with asbestos fibers. Stringent quality control since 1976 (separating cosmetic and food-grade talc from "industrial" grade talc, which is allowed a certain portion of asbestos contamination) has mostly eliminated this issue, but it remains a continuing hazard requiring mitigation in the mining and processing of talc. The US Food and Drug Administration (FDA) considers talc (magnesium silicate) to be generally recognized as safe (GRAS) for use as an anti-caking agent in table salt in concentrations smaller than 2%. Sodium Stearoyl Lactylate is a sodium salt comprised of ester and alcohol compounds sourced from vegetable oils such as Olive and Coconut oils. These ester and alcohol compounds allow dispersion of oil into water and prevent separation of the oil and water phases of the product. Sodium Stearoyl Lactylate can be used as an emulsifying agent, a conditioner, and as a mild cleansing agent. Sorbitan Olivate is derived from the fatty acids of Olive oil. It is used to blend the ingredients in our products together and act as emulsifier. This silky, ultra light ingredient facilitates retention of skin moisture and increases the active ingredient's resistance to water and/or sweat. Sorbitan Olivate has a softening effect and gives our creams a smooth and luxurious feel. Sorbitan Palmitate is derived from Olive Oil and is a viscosity enhancer agent improving the thickness of the emulsion of our products. Lecithin is usually used as a synonym for phosphatidylcholine, a phospholipid found in the membranes of plant and animal cells and part of the vitamin B complex. A major source of lecithin is soybean oil. It is needed by every cell in the body and is a key building block of cell membranes; without it, they would harden. Lecithin protects cells from oxidation and largely comprises the protective sheaths surrounding the brain. It can be totally metabolized, so it is virtually non-toxic to humans. Lecithin is used commercially for anything requiring a natural emulsifier and/or lubricant from pharmaceuticals to protective coverings. It is a natural antioxidant and emollient used in eye creams, liquid powders, hand creams, lotions, soaps and many other cosmetics. Lecithin is so widely used in cosmetics because it absorbs well without feeling greasy or heavy. Phosphatidyl inosital, another phospholipid constituent of lecithin, is a water-binding agent. See soybean oil and natural moisturizing factors. 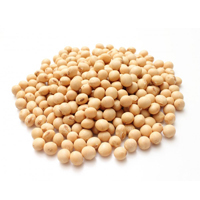 Soybean oil is an anti-inflammatory, antioxidant and emollient oil which contains isoflavones, saponins and is high in vitamin C. It is used in the manufacturing of soaps, shampoos and bath oils. See lecithin and natural moisturizing factors. Squalene, an organic compound derived from olives, is an important key to naturally healthy skin. Squalene has a natural affinity for the skin and acts as a natural skin soothing agent. As a lightweight emollient, it keeps skin in top condition by keeping it hydrated, fighting wrinkles and other signs of aging, and encouraging the growth of healthy cells. While the body naturally contains squalene internally, and in skin's sebum, topical application of additional Squalene can help boost its benefits. The Sunflower is a tall, stately ancient plant native to the United States. 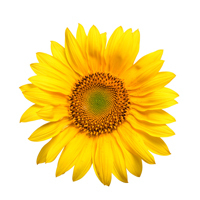 The seeds of the Sunflower yield a lightly textured, oleic acid-rich emollient oil, with large amounts of Vitamins A, D, and E, lecithin and unsaturated fatty acids, making it perfect for delicate facial skin. The seed oil is classified as anti-inflammatory, emollient, conditioning, nourishing, and moisturizing. Orange—specifically, sweet orange—refers to the citrus tree Citrus sinensis and its fruit. Oranges are believed to be the Golden Apples of mythological fame and are regarded as a symbol of fertility due to the fact that they can produce flowers and fruit at the same time. The peel from unsprayed oranges is the part used medicinally and from which the essential oil is made. Its properties for skin include: antibacterial, strong antifungal, anti-inflammatory, slightly astringent, cleansing, degreasing, lymphatic and circulatory stimulant, skin conditioning and nutritive (containing vitamins A, B, & C). The high content of bioflavonoids helps to strengthen the capillaries and tissues of the body. It is recommended for all skin types except for severely dry, but particularly beneficial for dull, stressed-out, mature and weathered skin. The essential oil is good for the following skin conditions: acne, seborrhea and cellulite. Orange flower water, made from the tree’s blossoms, is used for acne, dry and chapped skin, broken capillaries, to stimulate new cell growth (cell regeneration) and restore the skin’s acid mantle. The essential oil of the sweet orange is delightfully bright and cheery, highly antidepressant, calming, and is described as a sweet citrus top note. As a bath and massage oil it promotes relaxation and stress relief. Emotional benefits include ease of: anxiety, disappointment, emotional and mental fatigue, hysteria, nervousness and tension. The oil can be used as an appetite suppressant, to move chi and to dry dampness. The blossoms are sedative. Also known as Albahaca, sweet basil is a unique member of the mint family. It is considered the “king of herbs” by many cookery authors, and in addition to its culinary use, sweet basil has a long history as a medicinal herb. For example, the Greek physician Dioscorides prescribed sweet basil for headaches. Some of basil’s active constituents are: terpenes, methyl cinnamate, tannins, flavonoids and caffeic acid. The essential oil of sweet basil has excellent cleansing properties, is particularly effective against cellulite, and stimulates healthy hair growth. 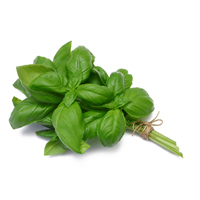 Used in massage oil, sweet basil has a warming effect. In modern aromatherapy, it is used to cheer the heart and mind and has a spicy, sweet herbaceous top-middle note with anise-like undertones. This oil is stimulating, warming and energizing, yet at the same time soothing and calming. Its aroma helps relieve sorrow, melancholy, emotional/mental/physical fatigue and eases indecision.